How to activate AnyFlip account with exchange code? 1Create a new AnyFlip account on our web http://anyflip.com. 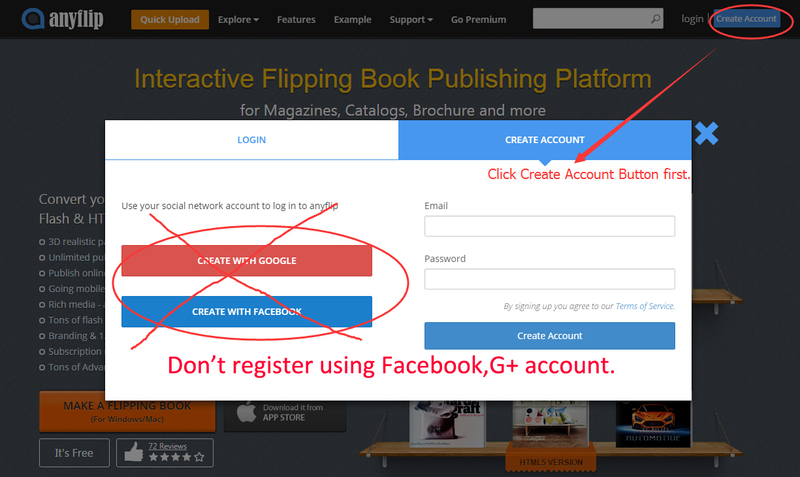 Note: Don’t register an account using Facebook or Google Plus in this deal. Login your AnyFlip account and then go to http://anyflip.com/gift-card-exchange.php to activate your account with exchange code, put the exchange code inside the blank and click on the button of “Exchange”. 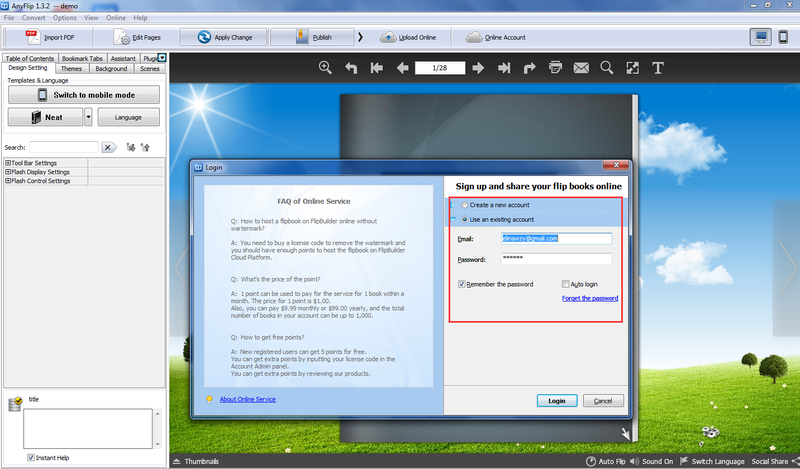 You can upload your PDF flipbook to our cloud host in anyflip.com directly. If you want to enrich your publications with interactive features(view an example),you need to download the desktop version and edit your book using Page Editor.